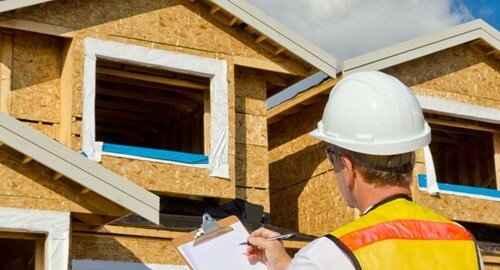 The Federal Deposit Insurance Corporation released lending data for 2014's second quarter, showing a 4 percent increase in construction lending. That growth is the largest since the market began its post-housing crisis recovery one year ago. The construction loan market is now worth $223.2 billion, up nearly $22 billion from its low point in the first quarter of 2013, but still very far from the more than $600 billion of 2008's first quarter, the last before the market started to recede. Growth has now been steady for five quarters, but it remains slow. Mark Zandi of Moody's Analytics has an optimistic view of the future, telling the Wall Street Journal that, because construction has been so scarce in recent years, there are very few vacant spaces available, which will drive up demand for new construction. Both growth and vacancy numbers are very similar across the commercial, housing and office space sectors. An executive vice president for Wells Fargo says, "We've seen more small, median and large banks entering the space in the past 12 months." But small builders are still having difficulty obtaining loans from large financial corporations, in turn leading to more of these loans being brokered by small lending institutions. If lenders are considering taking on a loan that a major bank won't, they need to prepare by gathering all the information they can. Construction loan software can be used to set up amortization schedules and automate payments, making the entire process easier for lenders and borrowers alike. The market is clearly on the upswing, and the current economic climate presents new opportunities for small and medium-sized institutions to break in and contribute to the nationwide recovery.